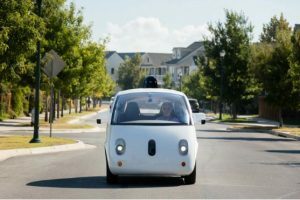 “We are concerned that certain populations will not be able to benefit from this technology if very specific design issues are not addressed,” said Henry Claypool, a policy consultant to the American Association of People with Disabilities and co-author of a paper that gauges the potential impact of self-driving cars on the community. “Whether it’s because of General Motors ignition switches, Takata air bags or Volkswagen emissions software, consumers are not necessarily going to immediately trust auto companies,” William Wallace of the Consumers Union said in arguing for more-stringent federal oversight this month at a forum held by the National Highway Traffic Safety Administration. “While blind people get around by using mass transit and other things, we don’t have the flexibility the autonomous vehicles will present,” said John G. Paré Jr., executive director for advocacy and policy at the National Federation of the Blind. Will autonomous vehicles be wheelchair accessible, and will wheelchairs be able to roll into them so their occupants need not transfer to a seat in the vehicle? Will there be tactile and audio interface so that the visually impaired can track the vehicle’s progress? How about a way for the blind to adjust things such as air conditioning and the radio? How will the vehicles be summoned and given a destination? Waymo, the company that began its life as Google’s autonomous-car division, launched its quest for fully autonomous vehicles before most of its current flock of competitors left the starting gate. Its driverless cars have driven 3.5 million miles in 22 test cities, including one in Austin where a blind man successfully completed a test ride alone. Waymo’s approach holds particular resonance for companies such as Uber and Lyft, whose design model is providing taxi-like door-to-door service rather than building autos for private ownership. “Even though people aren’t driving, we know that a sense of control is essential,” said Waymo project manager Juliet Rothenberg. Hearing-impaired riders will be able to follow the route on screens that are about the size of that of a laptop computer and show selected information including the car’s route, traffic signals, crosswalks, other cars, pedestrians and cyclists. The Waymo cars come with a “Pull Over” button placed next to the “Start” button and a “Help” button that will initiate two-way voice communications with a control center. Bryan Reimer, a research scientist in the MIT AgeLab and associate director of MIT’s New England University Transportation Center, said the prospect of wheel-in, wheel-out wheelchair accessibility might not be immediate. Younglof said seniors might also have trouble communicating with the car. “They are not as quick as younger people are to latch onto new technology and incorporate it into their lives,” she said. Raj Kapoor, Lyft’s chief strategy officer, points to the likelihood that some elderly and people with disabilities may need someone to help them — providing an opportunity for ride-hailing services, for example. Of course it’s wonderful to see driverless cars evolving and adjusting, hopefully sooner than later driving will be much more accessible for everyone. Ride-hailing services sound like they will certainly help a lot in this process. Great post!